If the impetus of the internet had its way, distinctions between art, fashion and commerce, as well as our private and publicised lives, would entirely collapse. 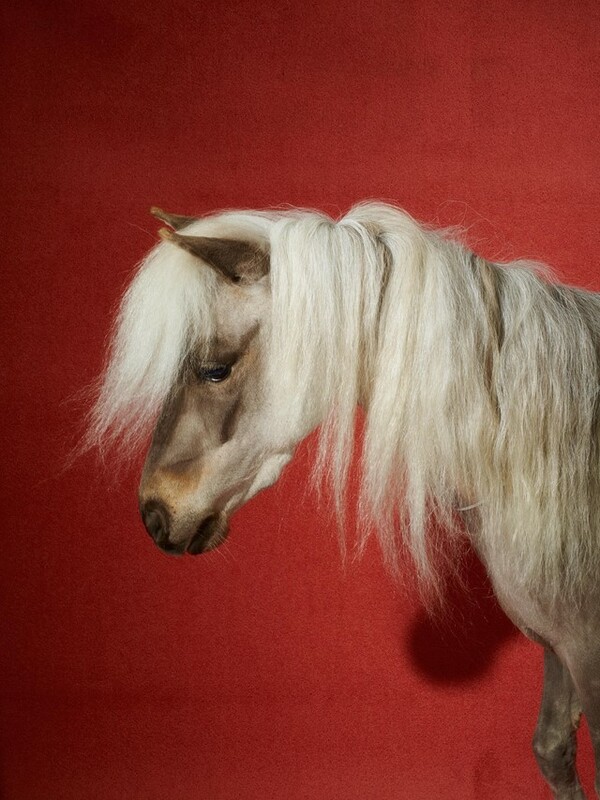 Roe Ethridge, for one, is keen to propose that we might already be living this post-digital future. The Miami-born, New York-based photographer wryly flouts boundaries between commercial, conceptual and personal uses of photography. His latest and fifth book published by MACK, Neighbors, serves to crystallise this idiosyncratic approach, which sees his photographs sit as comfortably on the cover of Art Forum as they would Self Service. Spanning 15 years of Ethridge’s output, the book coincides with the artist’s mid-career survey exhibition at the Contemporary Arts Center in Cincinnati, Ohio. But, remote from the moribund gravitas of a traditional retrospective, Neighbors deviates from your average catalogue. Divided into three chapters, the central chapter is a wilfully haphazard inventory of Ethridge’s oeuvre: small-scale renditions of fashion editorial commissions sit side-by-side with his conceptual-documentary photographs, vernacular style images and highly stylised holiday snaps – all playfully subverting the aesthetic tropes of each photographic genre. 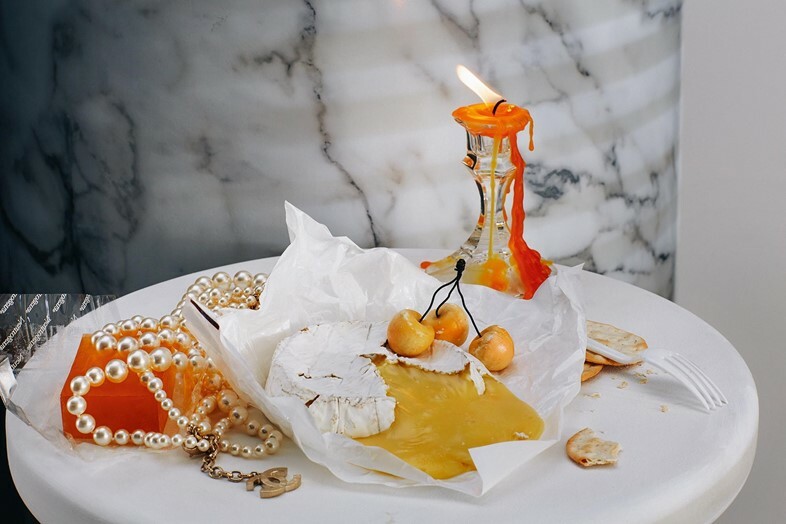 A sleek still-life shot of Chanel pearls, for example, shows them draped over Camembert and candles, perfectly parodying the cheesy and waxy mask of glossy advertorials. Reading the central chapter is a little bit like scrolling though a tumblr page – where perfume bottles, global brand logos, faintly eroticised adolescents, farm animals, and pictures of the moon collide – but its manifestation in book form assumes the grace of offline time needed to make the connections between the images, which allude and elude associations in equal measure. As curator Kevin Moore’s essay in the book notes, Ethridge is a “wily editor” and it was he who decided the arrangement of images in Neighbors – one that draws inspiration from the musical and psychological concept of the ‘fugue’, or a disorderly state of mind. As for the first and final chapters, in true Ethridge fashion they baffle as much as they delight. While the opening one follows his two children wandering through a rural beach, the closing section sees farm animals staring blankly at the camera. Aside from being funny, the peculiar banality of these photographs flies in the face of the self-conscious seductiveness of images in the central chapter, naturally calling that seductiveness into question. Even the title of the book seems to serve this purpose. Referring to a digital form of resizing an image – “nearest neighbour” – Neighbors also alludes to the familial nature of Ethridge’s work. If the nexus of digital media and human interaction frames this monograph, Ethridge seems to ask, how can we truly be authentic in a world of slick reproductions? 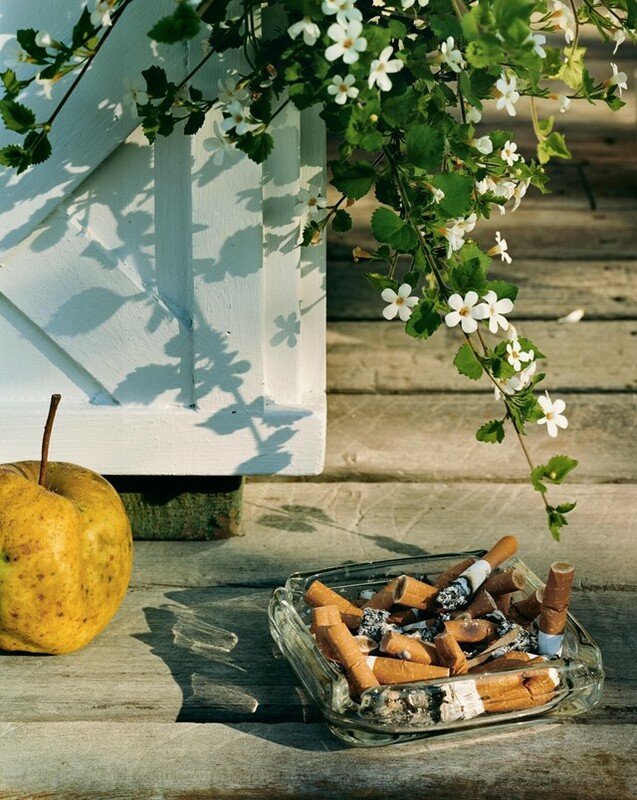 Neighbors by Roe Ethridge is out now, published by MACK.